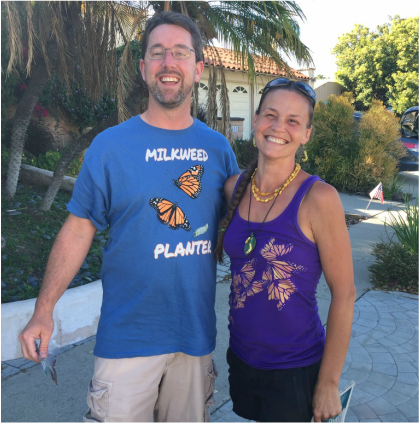 Welcome to Grow Milkweed Plants podcast episode 19. 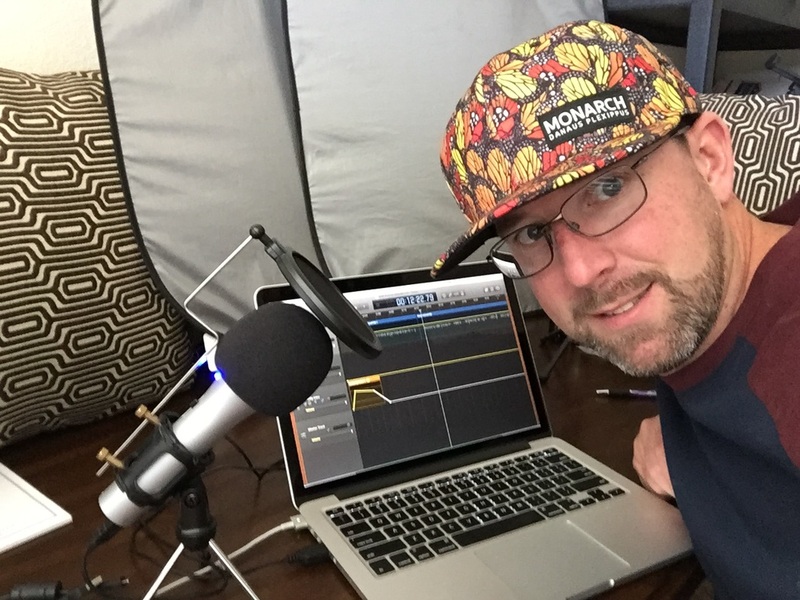 Broadcasting from under the Monarch ball cap. #ExclusivePeaks is the monarch butterfly themed print and is available on many products. I enjoy the Limited Edition Monarch Butterfly Hat. Eric Rejman also offers the monarch print on Shirts, Skirts & Leggings. While most tweets on twitter are often dismissed. Bryan Burks @BSburks is bee-bopping and tweeting about things that make you go wow! A few days before my visit to the L.A. Arboretum the Beach Boys preformed on the main stage and thousands of visitors were in attendance. My visit didn't draw the same crowd as the Beach Boys but I still had a great time exploring the Botanic Garden with an experienced horticulturist. Bryan has an impressive resume of some places you may have visited or should visit in the future. Myriad Botanical Gardens, Oklahoma City Zoo and Botanical Garden, Fresno Chaffee Zoo and currently works at the Los Angeles County Arboretum & Botanic Garden. Maintaining a Botanic Garden is no small task. Bryan works alongside a great group of people who all contribute to the success of the wonderful guest experience. 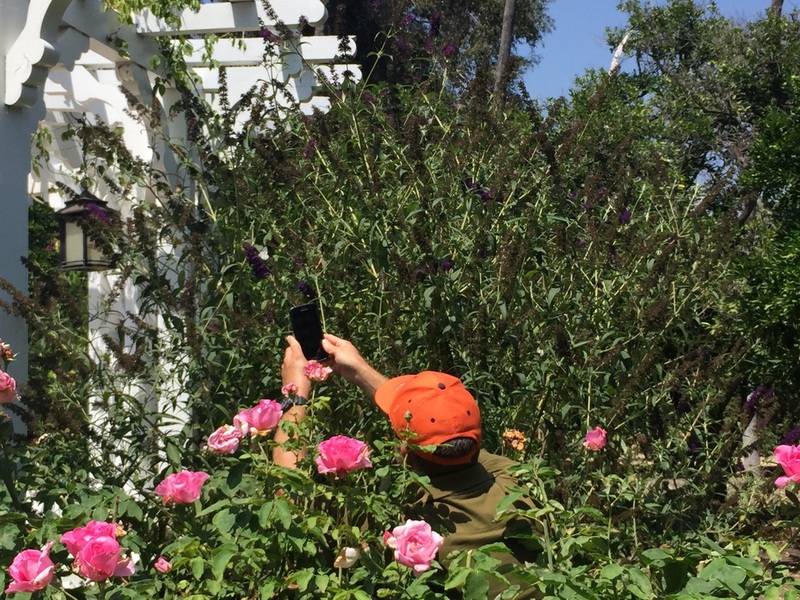 Butterfly Hubs are new to the L.A. Arboretum and they are already showing results. Butterflies are really quick to adapt to new habitat. By providing abundant nectar and host plants the Butterfly Hubs are going to impress visitors like me for years to come. 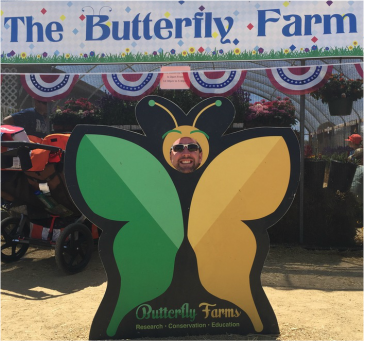 The mission of Butterfly Farms is to conserve native butterflies and their habitats through education and conservation. Please feel free to browse our website and join us in our efforts of Education, Conservation, and Research. Monarch Arc hopes to inspire some Monarch Magic while empowering with education, for everyone who wants to help the Monarchs thrive not just survive.